Phlatbed connects you to local drivers on-demand to help you move stuff! Connecting you to local drivers on-demand who can help you move stuff! Now in Michigan! Phlatbed connects you to local drivers who can help you move stuff! As you know, Phlatbed has been the easiest way to move items from point A to point B on-demand. As of today, Phlatbed is now available in Michigan! This is great news! Need to move that item from the furniture to your house but don’t want to waste time trying to organize friends and family to help move it? Need help moving a few items from your new place to the next? Phlatbed has got you covered in Michigan. Download the Phlatbed App or visit Phlatbed.com to get started. Post your job, Name your price! Outside of Michigan, but want be a part of the Phlatbed revolution? We are also available in Miami, Boston, Raleigh, Austin, Philadelphia, Portland, San Diego, San Francisco, Seattle, Baltimore, and Nevada. As we continue to grow, we will update the list of cities we are expanding into. If you want Phlatbed in your city, feel free to send us an email at crew (@) phlatbed.com . 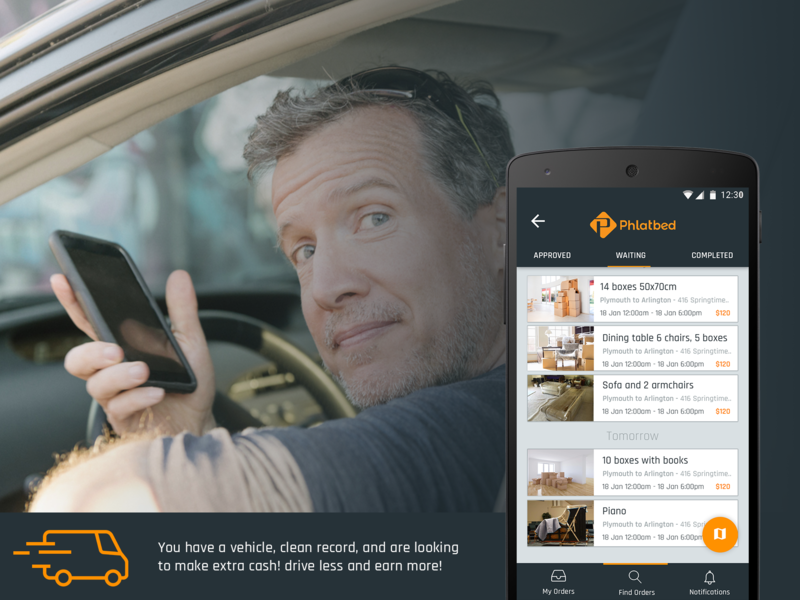 Phlatbed connects you to local drivers who can help you move stuff. It’s fast, easy, and on-demand. Moving on-demand? Junk Removal? Extra hands packing & loading? 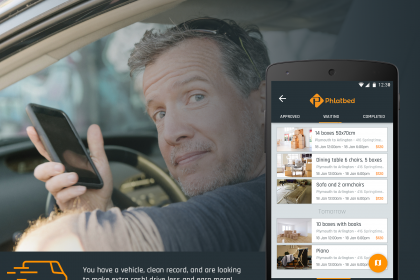 Phlatbed is your one-stop-shop for all things moving related. For Drivers – drive less, earn more!